After the relative non-failure of uploading and featuring two of my Minecraft build videos on the site a couple of days ago, I thought I’d add my third. 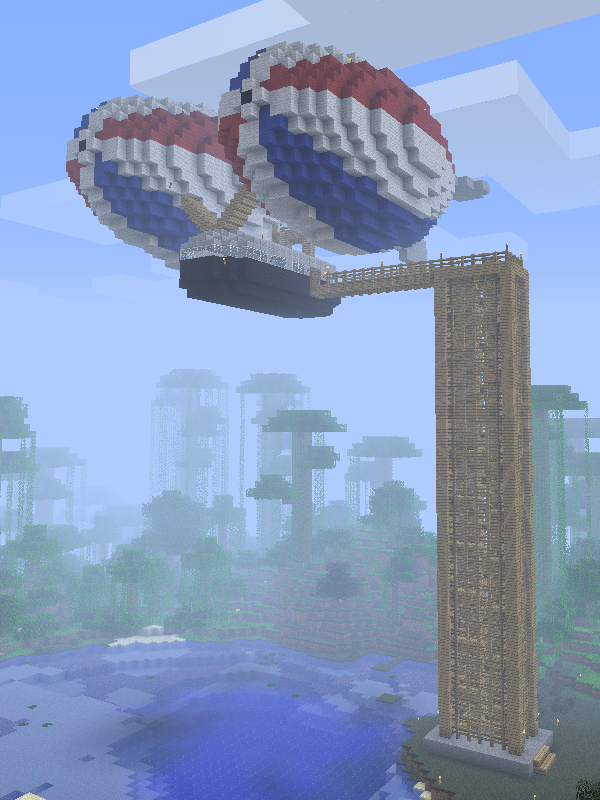 It’s of the Airship I built, the tour that never happens. More background info can be found in my screenshot post, here. This is actually the second version of this particular video. I did one the other day that was incredibly quiet for some reason. I hadn’t (intentionally) faffed around with any of my settings but somehow all the sound clips came off almost inaudible in the final edit. Well, a little tweaking here and a little amplification across the board and hopefully you can hear the narration now. Hmm, on second thoughts, is that really a good thing? 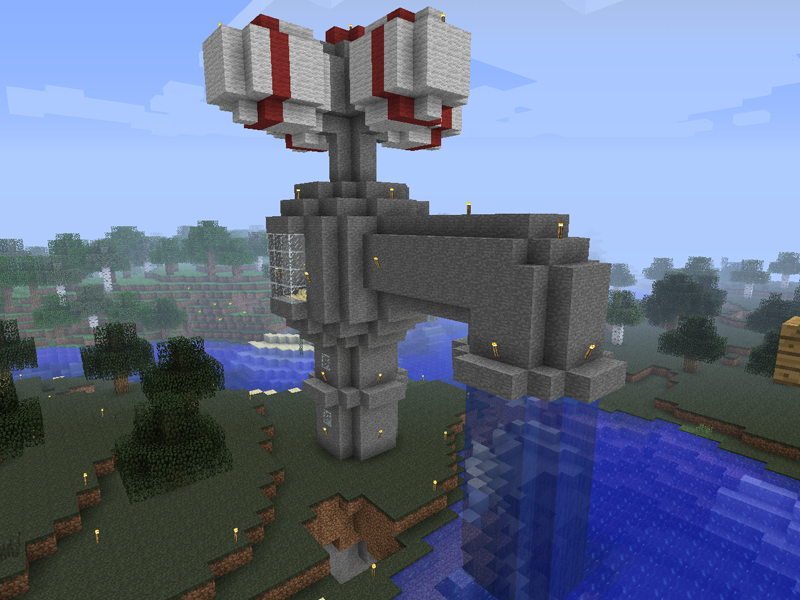 As mentioned in my earlier post, here is a screenshot of that Minecraft fish I built on the multiplayer server I roam. It’s a big bugger and I spent a fair while hunting down, dyeing and then shearing sheep to get all the wool to craft it. It might not look it but in total it needed about 500 pieces of wool for the whole structure and remember, this thing is hollow. 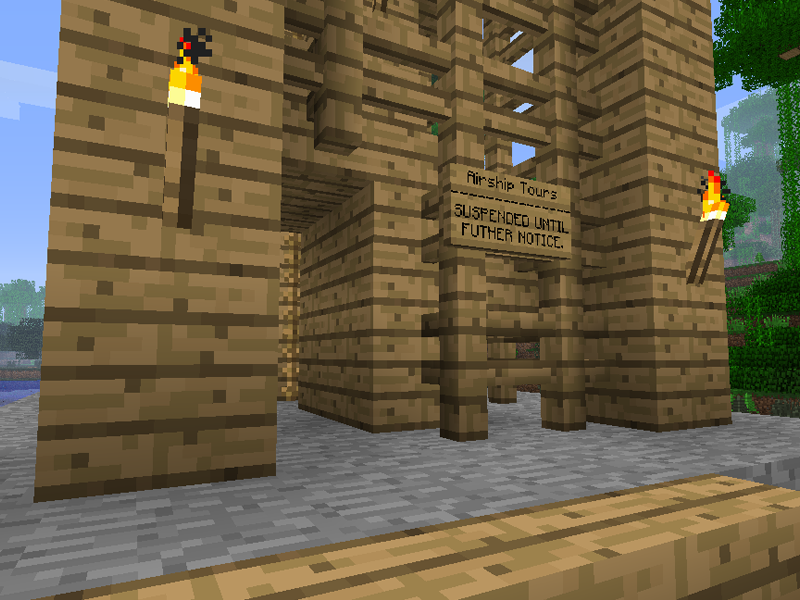 Oh yes, there’s a ‘secret’ base inside, accessible by an underwater tunnel and a ‘hidden’ door. ‘Secret’ and ‘hidden’ in the sense that you didn’t know but the rest of the server guessed as much straight off the bat. My fish comes from the Blinky school of design, though with fewer eyes and the torches dotted all over him ensure he’s well-lit, day and night, free of pesky zombies and skeletons. 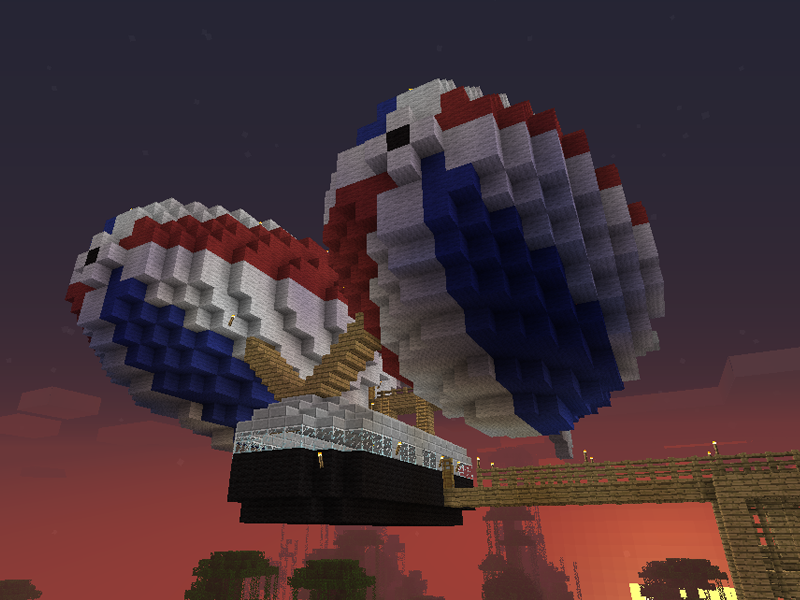 One of the first things I constructed on the server was a bridge leading from the main town to my little landmass. Swimming is such a pain so its construction was pretty much a no-brainer. 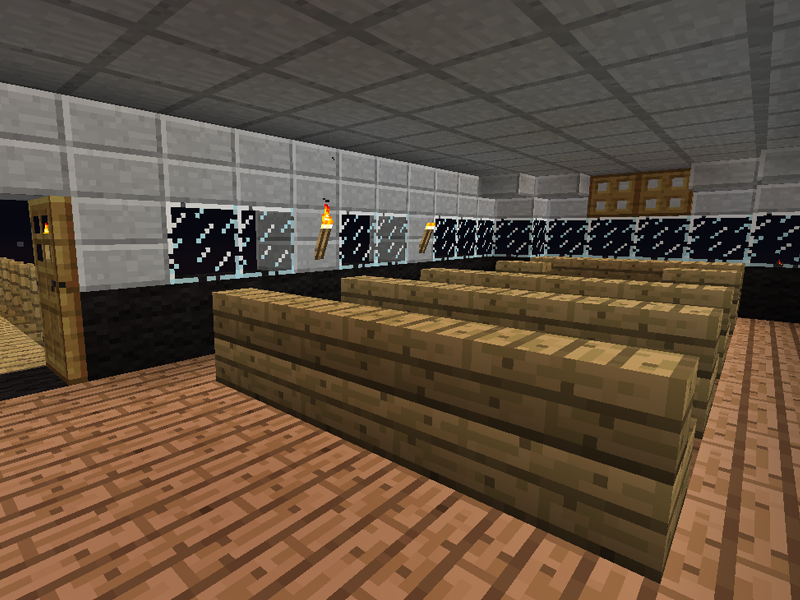 I cooked up a whole batch of smooth stone (well, cobblestone looks a bit tacky) and set to work. 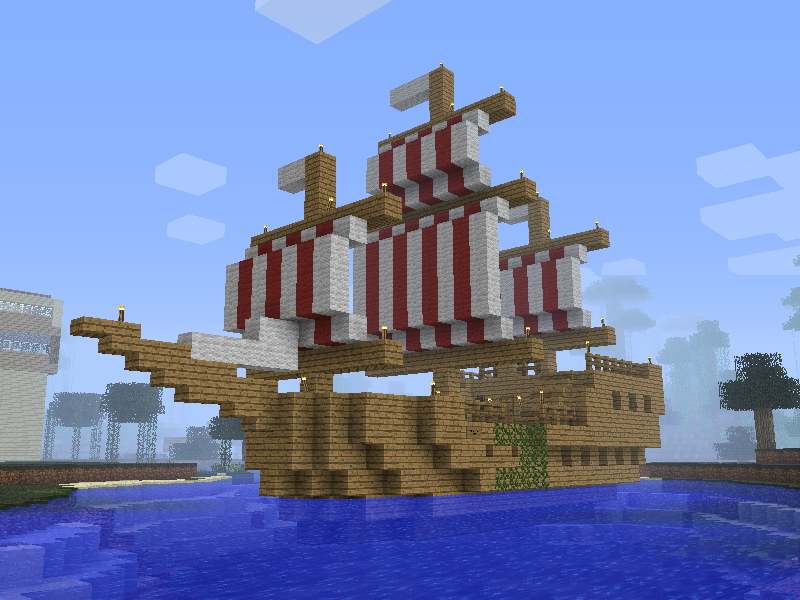 Once that was done, I built a small dock just to the side of the bridge. There’s a chest on the dock full of boats and even a fishing rod, should the mood take you. As you can see in the image to the left, the town is progressing quite nicely and yes, that is a gigantic sheep in the top-right, keeping vigil over everyone. Since my last post, I’ve gotten around to revamping the cube I was at the time calling my home. I’ve now built a much more sprawling structure, an off-kilter keep with jutting towers. It’s still the cap on my to-the-bedrock mineshaft but now it looks a little more impressive than the dirt shack I built to save me from the roaming nasties at night. At the bottom of the image, down near the little cove with the paddling sheep, you can just about make out my sugar cane farm, busily producing sugar and paper. I also have a mushroom farm and a cactus farm (none of them automated – I don’t really need that kind of quantity) built into my mineshaft. The cactus farm sure came in handy when dyeing all that wool for my fish. Remember folks, dye the sheep, not the wool. You get more coloured wool and save dye shearing a dyed sheep than you would get colouring plain wool that you’ve just sheared. When you’re dealing with 500+ pieces of wool, that’s a big saving on dye. 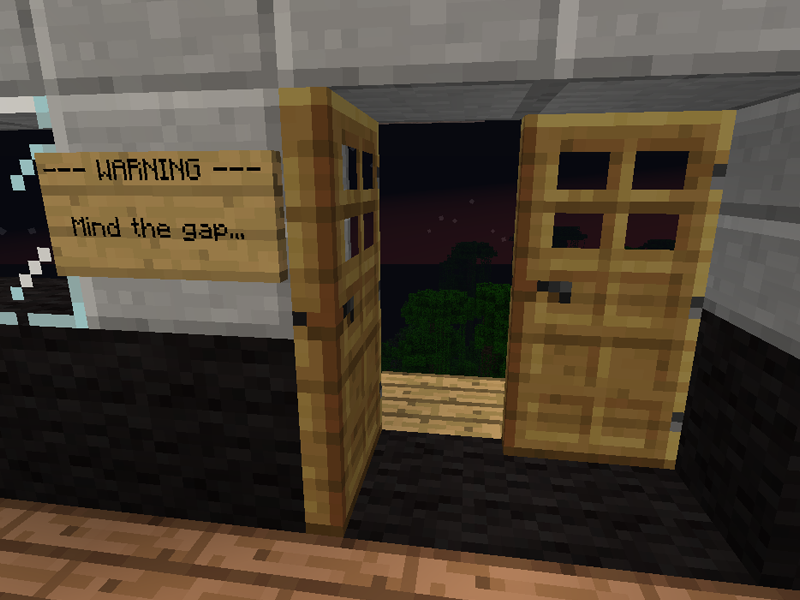 Minecraft is a lot of fun and playing on a server with others is the icing on the cake. If you haven’t bought the game, go grab it, you won’t be disappointed.